It’s hard to get passionate or take action on things you can’t see. 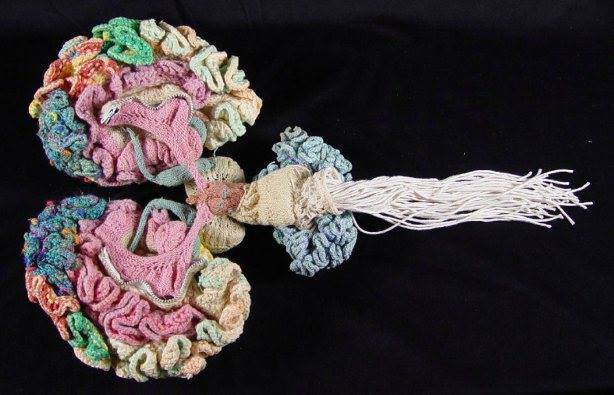 This is why projects like this or the Crocheted Coral Reef are so crucial to bring awareness to the devastation of our oceans and broader environment. With the Great Barrier Reef suffering the worst mass bleaching event in history, climate change could kill off the world’s coral reefs for good by the end of the century. When that happens, Courtney Mattison’s coral reef art might be the closest thing to the reefs we have left. Called Our Changing Seas, Mattison’s series of massive, intricately detailed ceramic sculptures were created by hand to represent coral reefs in the midst of being bleached. Bleaching is what happens to reefs when their sensitive zooxanthellae—a symbiotic algae that gives coral its pigmentation—die, usually due to environmental factors like pollution or temperature. And when the zooxanthellae die, so do the reefs. To recreate these reefs in ceramic, Mattison pokes thousands of holes into the clay with her fingers to mimic the sponge-like cavities of a coral colony, while sculpting coral’s more tubular polyps with the aid of simple tools like paintbrushes and chopsticks. Each of her sculptures takes between seven and ten months to create in her Denver studio. There, they are sculpted and fired in as many as 100 separate pieces, which combined will make up the finished reefs, weighing 900 to 1,500 pounds each. I started this blog – I can’t remember how many years ago – when I was working for a scientific society focused on the study of light. Their members, such as this gentleman, were doing amazing things that made the very thin barriers between art and science bleed right into each other. Amazing breakthroughs that are only possible when we think creatively. Lihong Wang creates the sort of medical technology you’d expect to find on the starship Enterprise. Recently, Wang began experimenting with a technique that blends the speed and precision of light with the penetrating ability of sound. It’s called photoacoustic imaging. “We’re combining the strengths of two forms of energy, light and sound, in a single form of imaging,” Wang says. 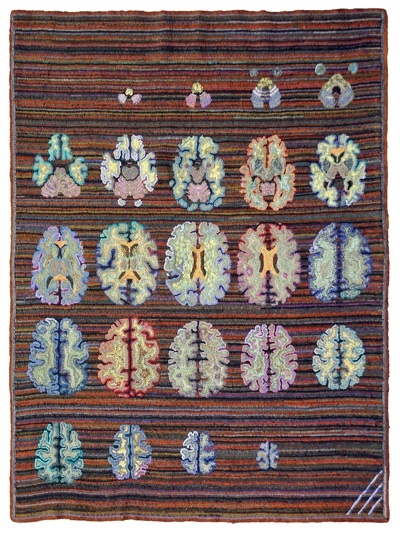 …light goes into the brain, and sounds come out. And just a few months ago, those sounds allowed a lab team to create high-speed, highly detailed, three-dimensional images of a mouse brain at work. read more about it at Innovative Brain Imaging Combines Sound And Light : Shots – Health News : NPR. IDEO has come up with a cool idea to get kids (and grown ups) actually interested and informed on taking antibiotics the right way. The Antibotics are a robot gang with a plan to save the world from the deadly bacteria that kills thousands of people, and cost the taxpayers £1 billion, annually. How will this intrepid team of roving robots come to the rescue? By using digital storytelling, pills and packaging to educate parents and kids about how to use antibiotics properly. read the whole thing via Antibotics: Using storytelling to get kids to take their medicine. A great way to get kids engaged with actually taking their medicine and feeling proactive, as well as educational for both kids and grown-ups. This is really quite a stunningly beautiful study of the human hand in a unique and mirrored way. 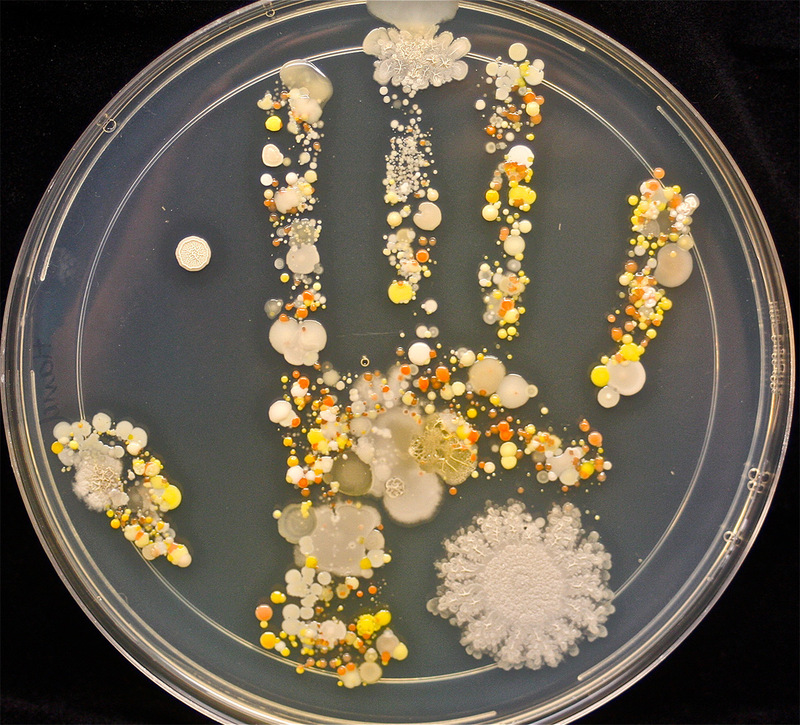 via The Microbes on the Handprint of an 8-Year-Old After Playing Outside | Colossal. Designer Bryan James is trying to raise awareness and make people care about protecting animals and the environment, through interactive polygon art. With more natural habitats being exploited for their resources on our planet, many species are in danger of extinction. To draw attention to this issue, designer Bryan James crafted a gorgeous interactive exhibition of 30 fascinating animals facing extinction, using morphing polygons. In Pieces beautifully depicts rare creatures like the pygmy three-toed sloth, the Somali ostrich, the Brazilian armadillo and Kemp’s Ridley turtle with subtle animations as well as information on the threat to each species, visualized stats and links to preservation efforts to protect them. more via This Interactive Exhibition of Endangered Species is Amazing. In case you missed it, this dress has been blowing up the Internet and tearing friendships apart since it was posted on Tumblr yesterday. Because even though the dress is so very clearly white and gold, some people out there are equally convinced it’s blue and black. But we’re not going to get started on that debate. We’re here to tell everyone to chill, because there’s a scientific explanation behind this witchcraft. And, much to my horror, the dress is actually blue. via Here’s the science behind that darn dress – ScienceAlert. I featured this museum on the site several years ago. It doesn’t look like they’ve added much since then, but always interesting. h/t to the Scientific Illustration for the Research Scientist page on Facebook, so thanks for the reminder, but check out the museum’s website for more.